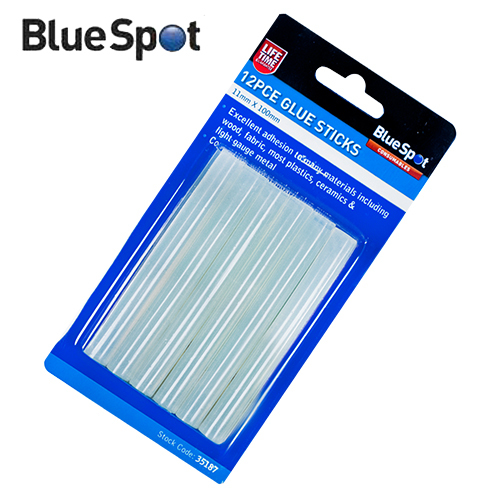 A very useful replacement pack of 12 hot melt glue sticks from Blue Spot Tools. Clear/transparent general purpose adhesive glue sticks with good adhesion to many surfaces, Each glue stick measures 100mm x 11mm. 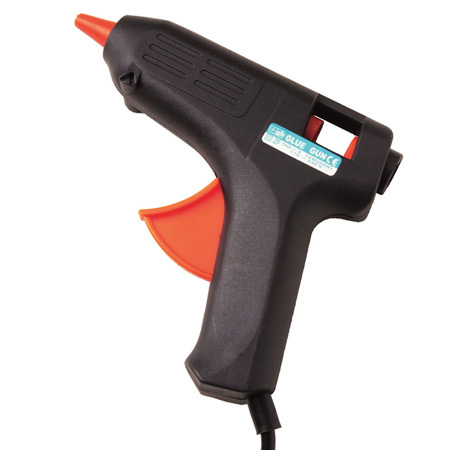 Perfect for most makes of glue guns. Excellent quality glue sticks that are perfect for the DIY and hobby enthusiast. 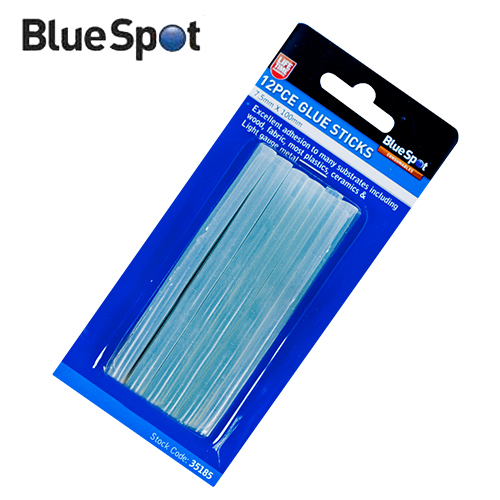 Another superb product from Blue Spot Tools.